London's Largest Indoor Playground Facility for children 13 yrs & under includes Jungle Climb, Karaoke Sing-A-Long Stage, Skill & Video Games, Laser Tag Adventure and a Wee One's Room. East Park Golf Gardens includes an 18-hole executive golf course and driving range, batting cages, mini-golf, go-karts, bumper cars, waterslides, rock climbing, video midway and indoor jungle gym for kids. Home to the the Western Fair, an annual 10-day event and home to three NHL-sized hockey rinks, Olympic-sized rink, a horse racing track, an IMAX movie theatre, restaurant, museum and concert venue. 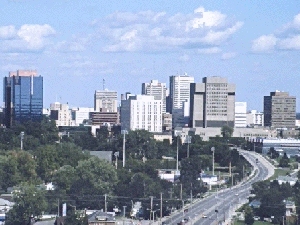 London is home to the University of Western Ontario. Western has over 25,000 students studying in 12 major Faculties: Arts and Humanities, Music, Education, Engineering, Graduate Studies, Health Sciences, Information and Media Studies, Law, Business, Medicine & Dentistry, Science and Social Science.